Here we go! To kick off the Electronic Entertainment Expo, one of the world’s biggest publishers of video games — Electronic Arts (EA) — will be taking the stage at June 9, 12 noon PDT (3 p.m. EDT/7 p.m. GMT). You can watch the entire thing unfold via the EA E3 2017 press conference livestream embedded above. 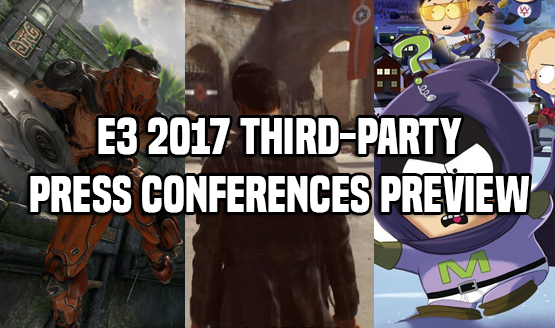 Same as in years past, we’re expecting a few game reveals, which EA has confirmed, gameplay from the highly anticipated Star Wars Battlefront II (parts of it leaked already), gameplay from Need for Speed Payback, and lots more. PlayStation LifeStyle will, of course, be reporting on the latest news from EA’s press conference and whatever pops up in the day and beyond. Our own four-man team will be on the show floor to get their mitts on the latest games, conduct interviews, capture gameplay and more. You can check out the rest of the E3 press conference schedules here (it’ll be Microsoft. Bethesda and Devolver Digital’s turns tomorrow). What are you expecting from EA? Do you think we’ll get a long-winded sports celeb to come on stage and bore us to tears like in previous years?